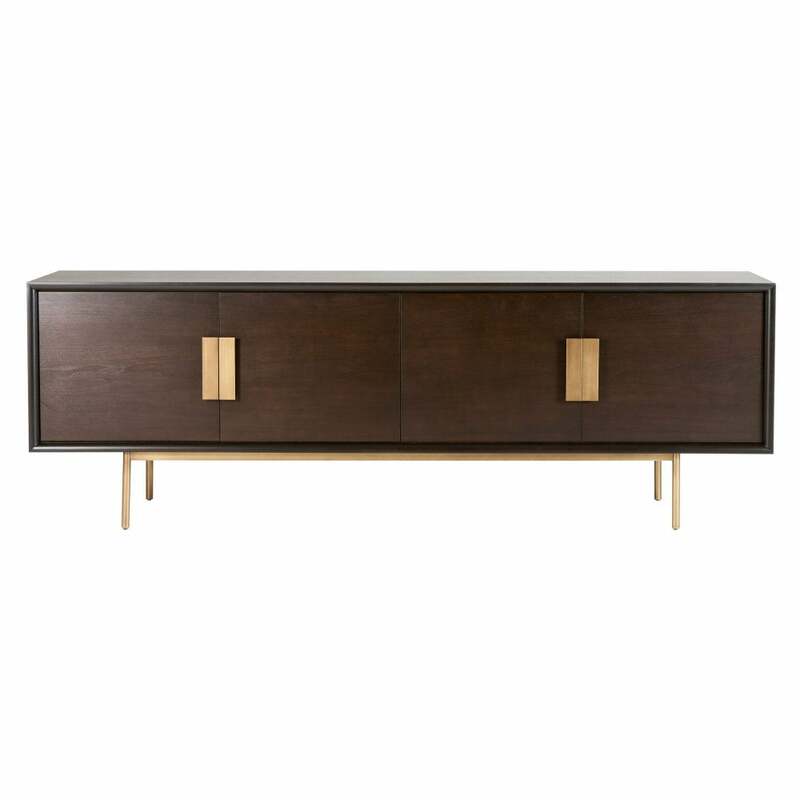 A stunning design, the Kenton Sideboard has echoes of 1960's styling with a contemporary twist. Here you have ample storage with 4 door fronted cupboards, each with 2 adjustable wooden shelves, plus generous surface space to place your cherished photo's, objet d'art or a beautiful lamp. The walnut veneer finish of the main body, reflects the high quality of craftmanship at Philipp Selva and further enhances that wonderfully retro 60's flavour. The antique bronze finish of the base frame and chunky handles adds that contemporary contrast yet complimentary twist.